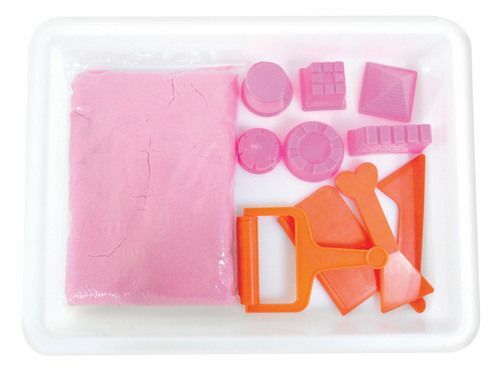 Product Description Bring the fun of the beach indoors and stimulate creativity with this fun, easy mould sand sculpt set from HGL. This set is perfect for creative kids or kids who just want to have fun! 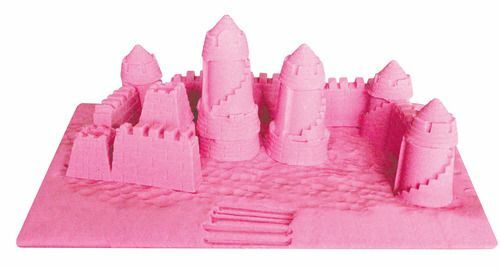 Create amazing sand sculpts and castles with this incredible sand that never dries out. Each sand set comes complete with its owns set of tools and moulds to help create your own unique sand art masterpieces. Each set can be played with over and over again and comes in a re-useable tray which helps keep mess to a minimum. Great mess free fun to enjoy indoors or out! Box Contains: 1kg Sand, 6 Castle Moulds, 4 piece Sculpting Tool Set, 1 Play Tray, Figure cutout cards. (Contents may vary). Box Contains 1 x 1kg Sand, 6 Castle Moulds, 4 piece Sculpting Tool Set, 1 Play Tray, Figure cutout cards.